Think "Out of the Box","Keep the Ball Rolling"
Episteme Soft is one of the fastest growing product company offering cutting edge solutions and services to global enterprises.Our solutions empowers Internet of things (IOT), embedded, wired and wireless technology software services that ensure quality delivery on time and every time. Episteme Soft Pvt Limited was founded by veterans of Cisco Systems and Juniper Networks. We are based in Hyderabad and Bangalore, India. Episteme Soft is a provider of whitebox Ethernet switches on x86 servers as low cost appliances that run the embedded software to equipment manufacturers and processor vendors in the communications market with innovative network protocol development, testing and automation solutions. Episteme Soft also offers solutions to empower Internet of things (IOT), embedded, wired and wireless technology. Episteme's licensing based business model allows equipment manufacturers to create and rapidly deploy fully validated, reliable embedded equipment. Equipment manufacturers licensed Episteme software, successfully reduced development costs and re-used the modular software across multiple products to maximize returns. Please contact Episteme Soft to find out more about our fixed price or hourly contract terms. For more information, please contact info@epistemesoft.com. Our Solutions are highly innovative, challenging, and are new technology development to the data center-class industry. All the work revolves around Linux/networking/storage/system technologies. Our teams do very distinctive work and all are derived from the ideas of technology veterans, who have lot of years of Industry experience spanning Distributed systems, storage networking, clustering, Operating systems, virtualization and Linux. We Provide industry leading solution for enterprise mobility via our virtual private network, network access control and mobile security software. We enforce single policy for ipad, iphone, laptop and desktop uses, so that all BYOD workers will seamlessly connect to enterprise network. We also make sure cloud based security among all BYOD users in the enterprise so that we protect corporate information. Our Solutions focus on delivering network services as software, including firewall/VPN, NAC, SDN, and load balancers with SSL on to the devices that are manageable in the cloud. Feasibility Studies. 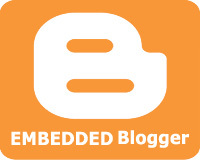 Working with clients to evaluate the suitability of Embedded Linux for particular projects. Not all embedded systems are suited to Embedded Linux, but finding out the pros and cons of using Embedded Linux for your particular project can be daunting without access to people with direct experience. Embedded Linux software development. Designing, implementing and testing kernel device drivers and userspace applications for Embedded Linux. Our software engineers have a wealth of experience in all aspects of Embedded Linux software development. Troubleshooting. Helping clients with specific issues during project development where in-depth knowledge of Linux internals is not available in-house. Moving from RTOS to Embedded Linux. Helping clients migrate from proprietary RTOS development to Embedded Linux. Our clients include several multinational corporations, where we consult on the use of Linux in their embedded products, or help to develop specific products. Previous projects include networking equipment, marine GPS systems and Digital TV STBs. We also develop implementations of IETF network protocols and network protocol accelerators. For more information about our services, please see our company brochure or contact us at info@epistemesoft.com. We are hiring. We are looking for talented software engineers with experience of Embedded Linux. Candidates must have experience in more than one of the following: Linux device drivers, V4L, Linux networking, Linux filesystems, real-time POSIX, TCP/IP, Buildroot, OpenEmbedded, Busybox, UClibc. Ideally, the candidate should also have knowledge of open source development processes such as patch generation and git. Exposure to Digital TV or IP Networking would also be a plus. Successful candidates must be able to work at home and be able to travel when projects require it. Episteme Soft is an Equal Opportunities employer. The way we look at the coaching in Episteme Soft is entirely different. It is the environment that we provide, the real time training that we train, the real time exposure that we emphasise, the solid foundation in Embedded, Internet Of Things (IOT), Software Defined Networking (SDN) and L2 / L3 Protocol Development that we accord. One may not recognise the value of our training right away, but will see the difference that they gained by training with us. We train our students in such a way that they take the best jobs as soon as possible. we also focus on the concept that the students trained from Episteme Soft are capable to sustain in any company situation marking themselves as worthy resources. We don't like bluff of getting fake companies just to attract students and later placing just 2 or 3 students per batch, but we rather make sure that each and every student get's confidence to face any kind of interview & obtain their desired job's. We also see that no student gets left behind due to their below average percentages but we would rather boost their confidence by getting them settled at-least in some small companies untill they are fully ready to beat-up the competitive world. We not only expect & wish that our students get settled in good companies in their mere future but also expect that the students shine up by also bringing both name & fame to our company "Episteme Soft". We here at Episteme believe in "Quality", where Quality attracts Quality. It is always the result of high intention; sincere effort; intelligent direction and skillful execution...it represents the wise choice of many alternatives. People who want to be on a good show will opt / choose for Episteme Soft as Quality is not an act here...it is a habit and we are proud to agree to the fact that we are addicted to this habit. And due to this addicted habit of ours we are in the good eyes of many companies. "QUALITY ISN'T EXPENSIVE... IT'S PRICELESS"
OK, well, this one is optional. Bluetooth is the foundation that allows smart gadgets to talk to each other, and the wireless technology is leveling up today. Write a program to check the parentheses are balanced in an expression ? write a program for possible combinations of words from characters of a given word ? Hyderabad India - 500 038. Looking for remote tech support, fill out the short form below.